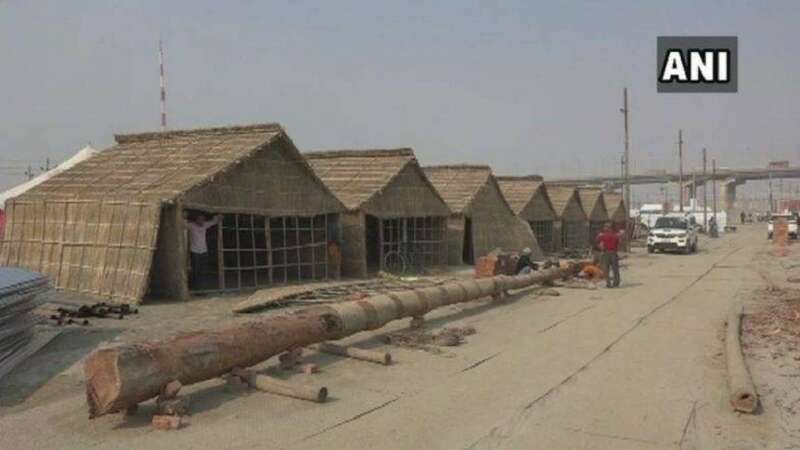 New Delhi : Kumbh Mela is set to begin in Prayagraj (formerly Allahabad) from January 15, officials said here on Monday. It hosted over 12 crore holy men, ascetics and pilgrims in 2013 in the same place. The Mela, inscribed in the UNESCO Representative List of the Intangible Cultural Heritage of Humanity in 2017, is the biggest "peaceful congregation of pilgrims on earth", as per UNESCO. For the 2019 edition, the Yogi Adityanath-led Uttar Pradesh government has earmarked an amount of Rs 2,800 crore, State Minister for Sugarcane Development, Sugar Mills and Industrial Development Suresh Rana told reporters here. The Mela will be organised in an area of 3,200 hectares, double the area of the last Kumbh, said Awanish Kumar Awasthi, IAS, Additional Chief Secretary, Information, Tourism and Religious Affairs, Uttar Pradesh government. He added that the Hindu holy city, located at the Triveni Sangam (merging of Ganga, Yamuna and Saraswati rivers), was undergoing an extensive makeover to welcome crores of pilgrims from across the world. Works of stable development or permanent infrastructural works "are being carried out at Kumbh Mela and Prayagraj with a total amount of Rs 4,300 crore", he added. This is much more than the Rs 1,214 crore spent on the 2013 Kumbh. The project undertaken focussed on works of infrastructural facilities like roads, bridges, drinking water schemes, electricity and tourism related. Over 1.22 lakh toilets have been constructed for this year's Kumbh, 20 thousand dustbins set up, and 42 drains emptying into the Ganga have been taped, officials said. The city spaces has also been painted with colourful art works. The grand festival with a history dating back to at least 1,500 years will begin on January 15 with the first holy bath, followed by several others till March 4. It will host over 5,000 camps from multiple akhadas and ashrams. The officials also said that actor Amitabh Bachchan, who was born in Allahabad, has been roped in for four films, which are expected to be screened in the festival. Rana added that the Uttar Pradesh Chief Minister was personally extending invitations to Governors, Chief Ministers, dignitaries and functionaries besides spiritual leaders of other Indian states. Visitors to the Kumbh Mela can find stay and travel related information online on www.kumbh.gov.in, and can stay in tents mounted for the festival, which can be booked online.